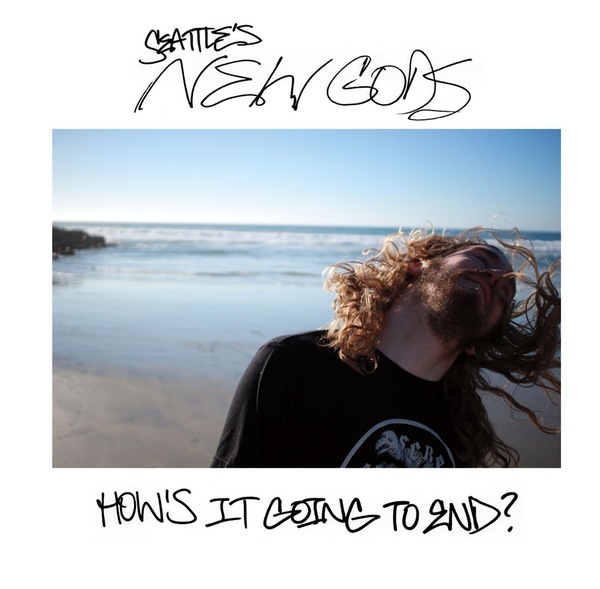 Officially going by SeattleÍs New Gods, the pacific northwest's best punk band are back with a 7" single that focuses the bombast and creativity that've earned them a devoted following. The release features the title track single "How's It Going to End" which nods itÍs head to bands like The Jesus Lizard and Unsane at a more mid-tempo pace, while the b-side ñForegoingî is a punk-rock anthem with elements of later Black Flag, and Mudhoney. How's It Going To End? builds off the band's critically-acclaimed 7" What Did I Say, which Brooklyn Vegan described as ñSounding something like Henry Rollins shouting over a Kurt Cobain riff. That EP was released late last year through Painter Man Records, and the band has not slowed down since. Completing an appearance at Rain Fest along side a slew of West Coast tours and weekends, the band put serious miles on their van. While prepping for this release, they've been hard at work on a brand new LP that will see the light of day later this year.